Michelin fundraiser with Zenith – get involved! On Tuesday 27th June, Zenith will be hosting a fundraiser in partnership with Michelin as part of their fill up with air campaign and support Brake Road Safety Charity. It will cost you only 50p to have your vehicles tyre pressures checked – and filled up if they need it! 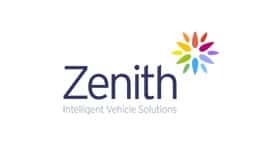 They will be on site at One Central Boulevard – please email Rani.Ram@zenith.co.uk if you would like to book a slot in for your vehicle….places will go fast!! A specialist team will be visiting the office to check vehicle’s tyre pressures and fill up any tyres that need topping up. In addition, they will be carrying out visual inspections of your tyres and will make you aware of any issue they may find on the day. Please note that this will purely be an advisory service and that there will be no written notification provided. 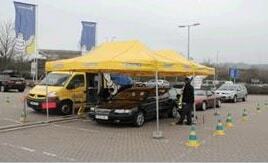 The cost to have your tyres checked by the team will be 50p which will go towards the charity. The ‘Michelin Team’ will set themselves up in the rear car park at One Central Boulevard as a pit stop style fill up, where you pull up, have the pressure checked, adjusted, inspected and then drive off. The event will be open to everyone, however, to avoid queues from forming, we need to find out how many business on the park are interested and roughly how many people. We can then allocate time slots. The inspection and fill up will take approximately 5 minutes.